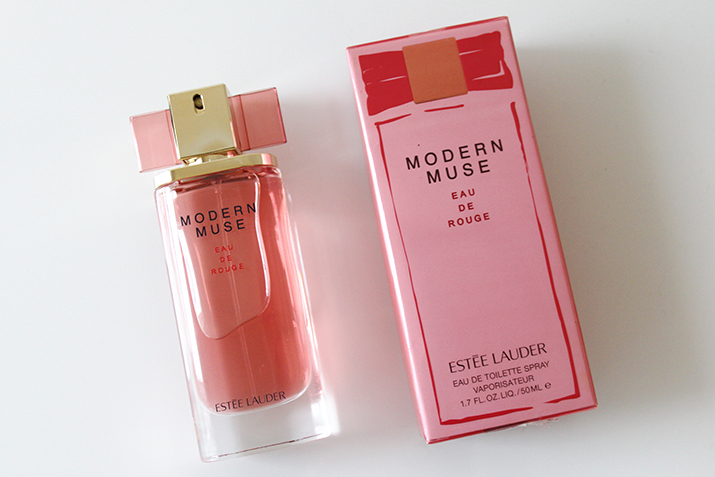 I recently treated myself to a new perfume as my collection was starting to run low, and this time round I wanted to go for something that I hadn’t had before (I tend to go back to the same scents over and over again!). 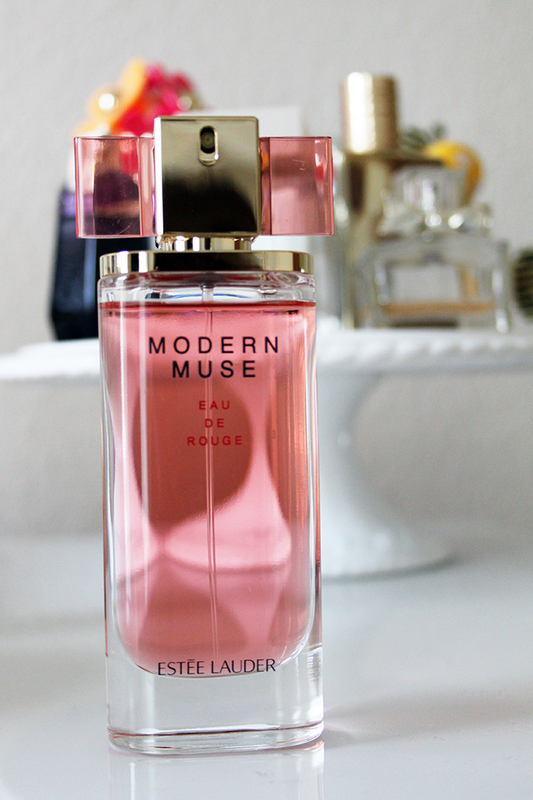 I love the scent of Estee Lauder’s Modern Muse and have been obsessing over ‘Le Rouge’ ever since I spied Kendall Jenner looking all sophisticated in her red power suit in the ads, but it was the Eau De Rouge edition that came home with me as I loved it’s light, Summery fragrance. 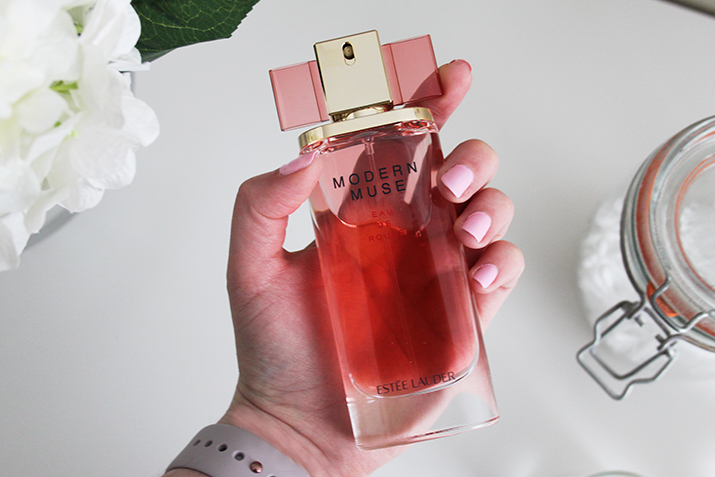 If you’re a fan of light and fruity, floral scents similar to the likes of Daisy by Marc Jacobs, and Chanel Chance, then you will probably love this. It’s a lovely subtle mix of rose, vanilla, Jasmine Absolute, Magnolia and lots of other lovely things and has a very fresh yet floral scent to it that is just perfect for the Spring months. Being an Eau De Toilette, naturally it isn’t as powerful as it’s Eau De Parfum sisters, but it does linger for quite some time and ohmygod the packaging! The pretty pink liquid and the sweet little bow-like top are just made to be displayed proudly on a dresser and I love how there isn’t a lid as the pump is contained within the bow design, making it easy to grab and go when in a rush in the mornings (a daily occurrence). I’m not sure if all perfume stores or counters are doing this, but mine also came with a free body lotion when I got mine a couple of weeks back at The Fragrance Shop. The lotion is perfect to apply if you want the scent to last longer and keep your skin silky smooth all at the same time! It’s also a great size for throwing in your handbag. 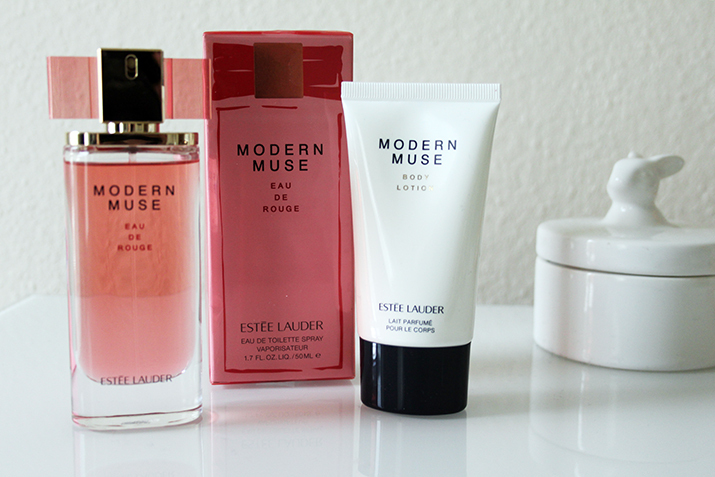 Have you tried any of the Modern Muse fragrances before? What other scents would you recommend to someone who loves a fresh and fruity floral!? "HOUSE TOUR | A LOOK INSIDE OUR BATHROOM"
"BAKERDAYS EASTER LETTERBOX CAKE | COMPETITION CLOSED"